Welcome, Pinners! 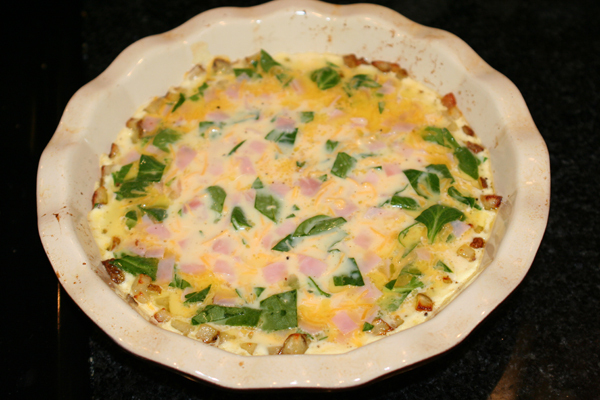 Please be sure to check out my Recipe Box at the top to find more breakfast meal ideas! After my last minute trip to the grocery on Friday, I picked up a few things at a great price and needed to use them up. I got the following organic products for over 75% off! Whole & Skim Milk ($.99/gallon, orig $5.79/ea! ), Baby Spinach $1.25, Horizon Eggs $.99 (reg $3.19), sale of bag potatoes $1.77 (reg. $3.99). So, I was trying to figure out what I was going to do with all this stuff! I made a few hashbrown quiches, two spinach/cheese/rice casserole, bag of freezer french toast and steak fries . I have lots of freezer meals now! 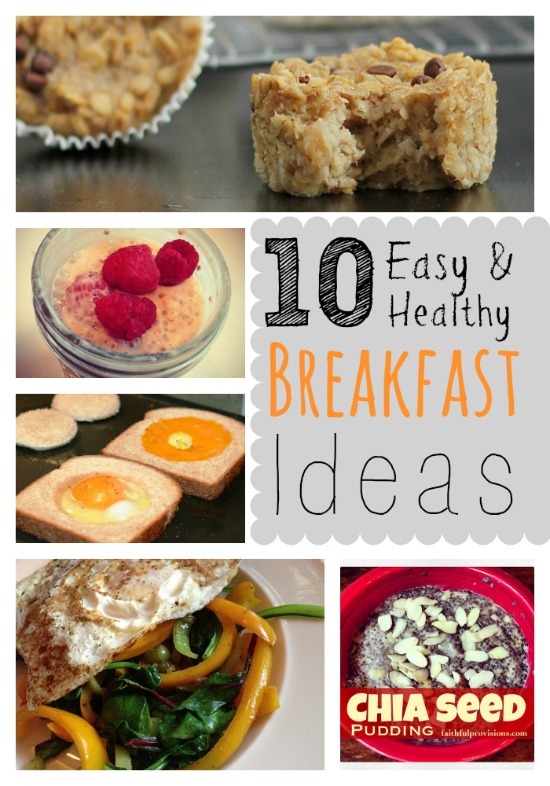 Find more recipes for great Freezer Friendly Breakfast Recipes HERE. 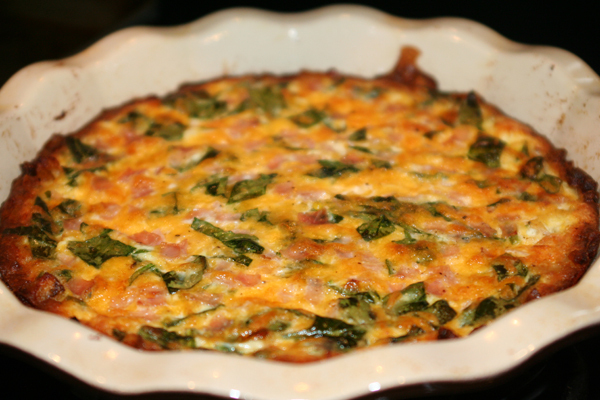 Here is the Hashbrown Quiche recipe with my step-by-step process, it is a Paula Deen recipe (love her!) and I used the organic potatoes I had instead of buying frozen hashbrown potatoes. 1. Preheat oven to 450 degrees, while you finely dice potatoes. 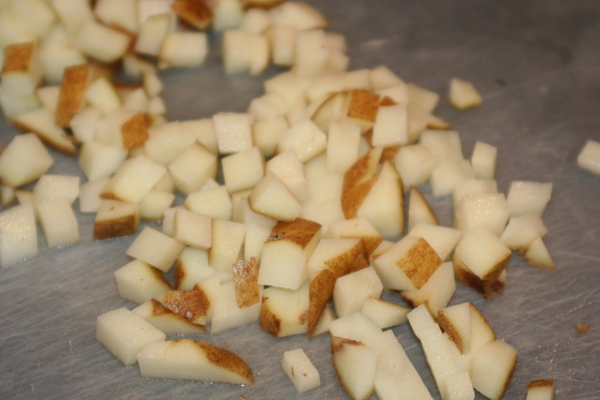 Steam diced potatoes with a couple tablespoons of water in the microwave for about 3-4 minutes. I had a Pampered Chef steamer, but you can use a glass bowl covered with plastic wrap to help it steam. 2. Pour 4 T of butter on steamed potatoes, toss and then mash into the bottom of a greased pie pan. Put in preheated oven for 25 minutes. 3. While crust is baking, grab a bowl and mix beaten eggs, milk (I used whole milk instead of half & half), add-ins ( I used diced ham and 1 cup chopped fresh spinach), shredded cheese, salt & pepper. After the crust comes out of oven, pour over cooked hashbrown crust. 4. Lower oven temp to 350 degrees and cook another 20 minutes. I Baked 3 quiches, and froze 2 of them. 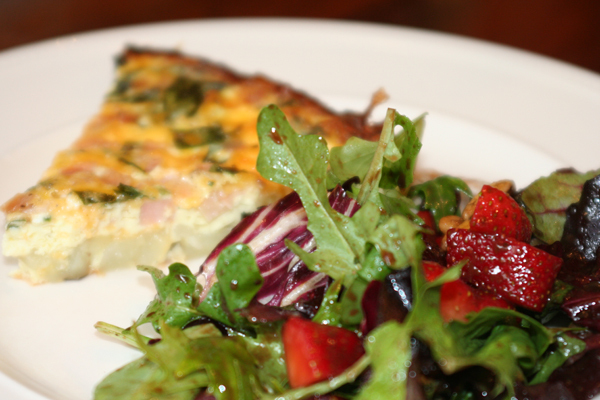 The perfect partner for this Hashbrown Quiche is this amazing Strawberry Spinach Salad with Sweet Balsamic Dressing HERE. Preheat oven to 450 degrees, while you finely dice potatoes. Steam diced potatoes with a couple tablespoons of water in the microwave for about 3-4 minutes. I had a Pampered Chef steamer, but you can use a glass bowl covered with plastic wrap to help it steam. 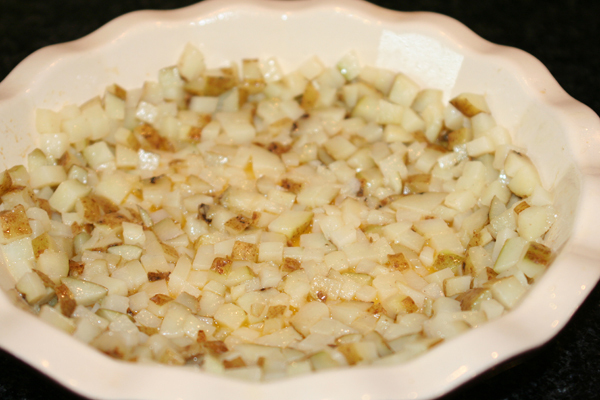 Pour 4 Tablespoons of butter on steamed potatoes, toss and then mash into the bottom of a greased pie pan. Put in preheated oven for 25 minutes. While crust is baking, in a bowl, mix beaten eggs, milk (I used whole milk instead of half & half), add-ins ( I used diced ham and 1 cup chopped fresh spinach), shredded cheese, salt & pepper. After crust comes out of oven, pour mixture over cooked hashbrown crust. Lower oven temp to 350 degrees and cook another 20 minutes. The P. Deen recipe is the one we used for MT. Sorry, should have just told you that! Thanks! 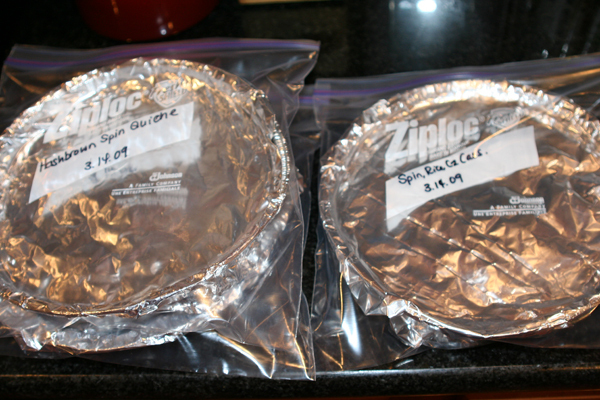 For your quiche, casserole and french toast… when you take them out of the freezer to eat them, how do you reheat them? For how long? Let it defrost first? I never make meals in advance like this and freeze it, but I would like to start! Nicole, I DO NOT defrost them, it makes them soggy. I just cook as is, and it takes about an hour, sometimes more when they are fully frozen. I usually cook on original temp but just longer. I don’t usually free freeze food but would like to start as well. How long can theses foods last in the freezer? Quiche usually can last a few months. It tends to freeze really well. I made your hashbrown quiche and really liked it. However you didn’t say how many eggs and mine got vary tall, could you tell me how much of your ingredients you used. thanks. Before freezing them – did you take them out of the pan – or did you freeze it in pan? Laurie, I freeze them in the pan, and then cook them in the same pan. I use a round aluminum one, I can usually get 3-packs at the Dollar Store. Do you freeze them after you have baked them, and then cook for another hour when you are ready to eat? yes, roughly an hour, sometimes a little less if they are frozen. Just depends on your oven.